The 2nd European sCO2 Conference was held at the Gesellschaft für Simulatorschulung mbH (GfS) and Kraftwerksschule eV (KWS) in Essen, Germany, on 30th-31st August 2018. It has been planned as a meaningful and long-term extension of the 1st European Seminar on Supercritical CO2 (sCO2) Power Systems which was held in Vienna in 2016. 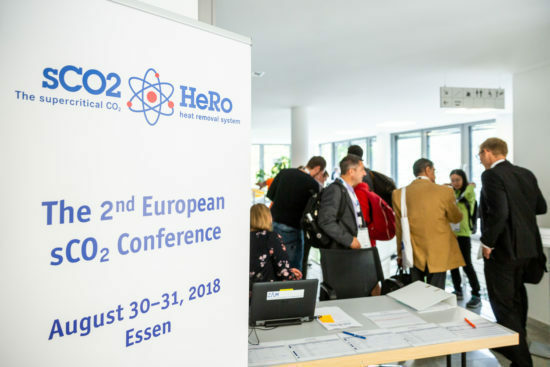 Thus, the conference was dedicated as the final conference of the sCO2-HeRo project, and supplied a professional forum for sCO2-related presentations from sCO2-HeRo members and external participants. The conference was focused on research in sCO2 fields, conducting a peer-review of papers / presentations in three thematic sessions: i) Heat exchanger / Heat transfer; ii) Compressor / Turbine / Generator; iii) sCO2 cycles and their applications. 20 presenters showed their recent work to an international audience of about 55 participants from science and industry mainly from Europe, but also from the USA and China. The conference has been a complete success, from the organisational aspect but above all from the research contents. It brought together an interested international audience coming from different fields and sectors of sCO2 research and applications and has promoted in-depth discussions between participants. The sCO2-HeRo consortium intends to install a European sCO2 Conference according to the American counterpart ASME which is held every two years. 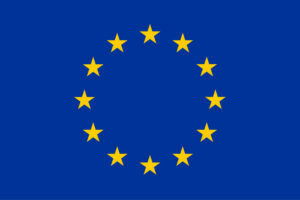 In future, the European sCO2 conference shall therefore be planned alternately to the American counterpart.